The theme is always the same: overcoming boundaries. Thanks to technology, surgeons can now have next to them, during the surgery itself, people that are not physically in the operating theatre. 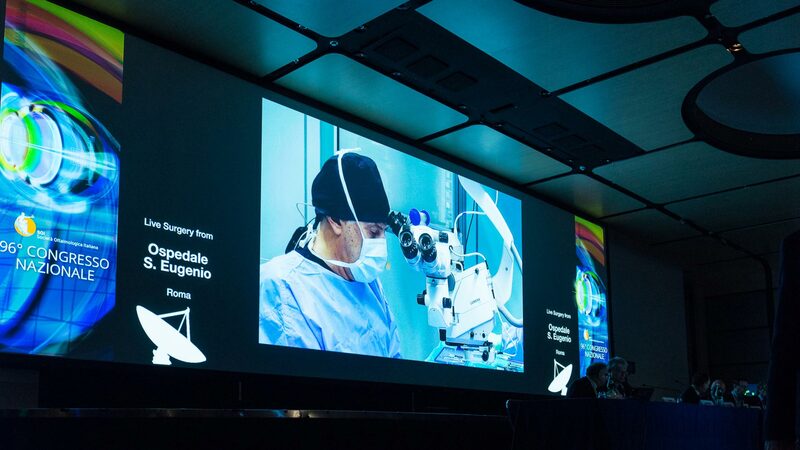 Be it colleagues sitting in a congress room or medical students at university, it doesn’t matter: using satellites, cable or internet, sharing the educational aspects of direct surgery is a need the medical world has since years. Of course this task must not be underestimated: technical site visits, choosing non invasive and safe equipment, coordination with clinical engineering, technical office and operating theatre staff, study of the surgical case to shoot, this are all steps GDS engages in as standard process for this delicate task. Then, in the operating theatre, our presence will be hardly noticed, and behind the scenes a personalised direction tailored on the needs of the live will ensure the best audio and video quality.